Meltdown – not a term one wants to hear when confronting an obstinate boss or while levitating in his or her new Tom Swift Electric Octo-copter. But it is a real specter confronting electric vehicle users, and one amplified to positive levels of terror in flight. 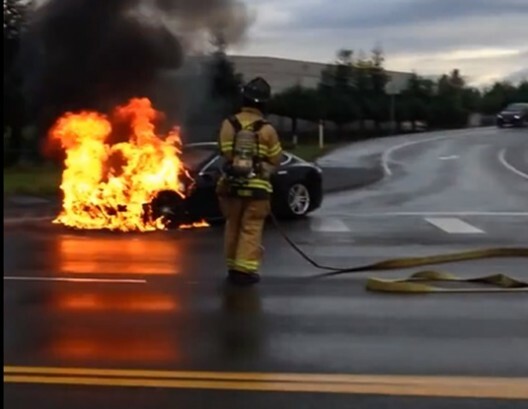 Two groups of researchers have come up with novel ways of quelling that terror and getting rid of the normally flammable electrolyte that helps make lithium battery fires truly memorable. If researchers at Chapel Hill and Washington State University are successful in their research, that acid electrolyte can be replaced with something safer and as a bonus in both cases, batteries using these new substances will perform better and longer. Electrolyte needs to be electrically active, because it’s the medium through which lithium ions shuttle on their way between anodes and cathodes as batteries charge and discharge. Overcharging can heat this medium to a point of spontaneous combustion, according to Dominica Wong, a graduate student in DeSimone’s laboratory. Wong doesn’t think this is much of a problem for batteries in mobile devices, since they are small and exchanged frequently. But batteries in cars or planes can make newsworthy pictures and cause something other than range anxiety for operators. Since the PFPE can mix well with lithium salts, it doesn’t hinder ion transport, a nice set of properties for an electrolyte in a lithium battery. It also acts as a buffer in a sense if overheating does occur. Rather than adding to the temperature rise in a thermal runaway, the electrolyte acts to cool things down and even shut down ion transport – a built-in safety valve – although not necessarily something which a pilot wants to experience mid-flight. The UNC team had help from Lawrence Berkeley National Laboratory’s Nitash Balsara, a faculty senior scientist at Lawrence and professor of chemical and biomolecular engineering at the University of California, Berkeley. 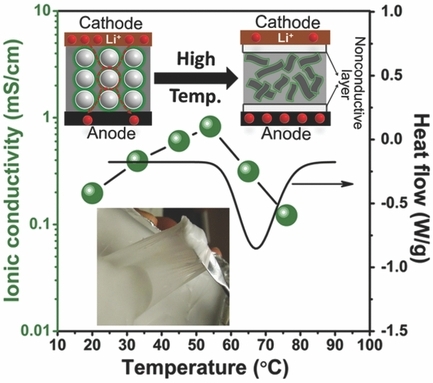 He and his team studied lithium-ion transport within the electrolyte and found electrode materials that would work in this new internal environment. The two grows will “focus on optimizing electrolyte conductivity and improving battery cycling characteristics, which are necessary before the new material can be scaled up for use in commercial batteries,” according to Wong. Their findings may be adaptable to cold environments, a necessary capability in aerospace and deep sea naval operations. Wired is even more enthusiastic about the possibilities here. The publication reports, “DeSimone and his team have been working with PFPE for years, and during their research, the crew found that another polymer electrolyte, polyethylen glycol or PEG, and PFPE could combine to dissolve salt, and potentially function as an electrolyte. When his team attached the PFPE to dimethyl carbonate, an electrolyte traditionally used in batteries, the resulting PFPE-DMC was a polymer that could move a battery’s ions with insane levels of efficiency while remaining stable. “How does that compare to batteries now? The battery in a Tesla or Prius, using a regular electrolyte, has a transference rate of around 0.2, which works, but is far from ideal. The PFPE electrolyte measured around 0.91, almost approaching “unity” — a transference of 100 percent.” This should light up eyes in the EV world. Their work has been published in the Feb. 10 issue of the Proceedings of the National Academy of Sciences. 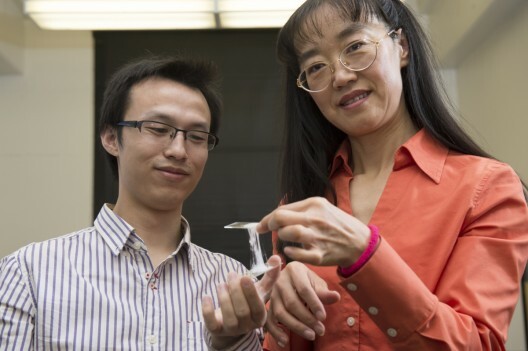 The stickiness of the gummy electrolyte is a big selling point, allowing it to stay attached to anodes and cathodes, “like when you get chewing gum on your shoe,’’ as Zhong told her students. The resulting material is a hybrid of liquid and solid, and contains liquid electrolyte material “hanging on solid particles of wax or a similar material.” Current flows easily through the liquid parts of the electrolyte, but the solid particles act as a protective mechanism. The researchers recently reported on their work in the journal, Advanced Energy Materials. They have also filed a patent, and hope to be incorporating their material into production batteries soon.